Okay, peeps, it’s a writing weekend with my pal, Gina Gordon﻿! I have two novels and one novella all due in June. Laziness is no longer acceptable! 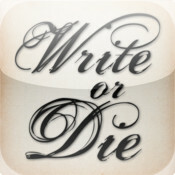 I’ve downloaded Write or Die, and I have coffee! Today’s goal: 5000 words. When I reach that goal, I’m going to give a book away! And the best part, I’ll be doing the same on Sunday. I’ll be posting updates all day. Make sure to comment so I can add you to the list for the giveaway (here or on any of the updates)! Check back soon!! Good luck I hope you make your goal. You two ladies write some good books. Good luck on your word count and have a cupcake with your coffee. Hope you make your goal! I need to do the same thing! Whoo! keep up the good work!!! !